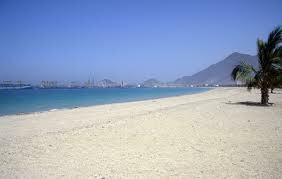 Located just 25kms away from the Fujairah town center, Khorfakkan is a quiet beach stretch ideal for families. However the real secret of the beach is picturesque space, also known as Heart Beach that lies to the north end of the beach. Though it involves a bit of trek that takes about 15 minutes max, perhaps the reason why the place is still unspoiled, the spot that you will get to will be well worth the effort. The spot that you will find is so scenic that it could well be termed as a part of some masterpiece painting. The place is pure uninterrupted heaven with soft white sands and gentle blue oceanic waters. To add more to the whole experience, head back to the nearby Oceanic Hotel which offers some great diving and snorkeling tours. 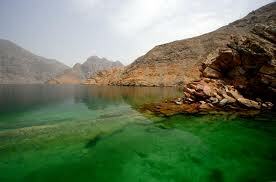 Located on the northern tip of Oman, Musandam offers some great beach fun for you and your family. Head on to the Khasab port and haggle with the fishermen to take you to a secluded bay. It is your luck where you end up as the place is full of both beautiful as well as spoiled coves. However, the trick is to keep going until you reach the perfect spot which are aplenty and offer you a slice of paradise all to yourself. Do wait up till nightfall when the phosphorescent algae in water make every splash seem like an underwater firework display. So what are you waiting for…Head on to this beautiful paradise and make your trip a memorable one!!! If described in a single word, the place can only be termed as ‘stunning’. This eastern coastline consists of some beautiful unspoiled and hidden beaches that are so remote that can only be accessed by a fishing boat or a six hour hike. Two of the most isolated beaches of the country can be found on this shoreline- Al Myam and Haffa. Al Myam is more exposed with its white sands framed with Hajar mountains and a small fishing community. Though the tourists are not allowed to walk on the beach, you can have some great fun from your boat itself along with some snorkeling. For someplace less remote, there are various other beaches in Dibba where you can enjoy some great views and deep blue waters. Just 20 minutes away from the bustling Dubai, Ghantoot beach makes you feel like you are a world away from real life with not a big hotel or crane spoiling the view. With white sands and turquoise blue waters, the place has just handful of people at any possible time that you would struggle to overhear the conversation of the nearby loungers. To add to the experience, there is a quaint little hotel named Golden Tulip nearby with a great café. When the night falls, head on to the other end of the beach that has a small bar which comes alive with people playing volleyball and having barbeques. If you are looking for the dual fun of peace as well frolics, Ghantoot is the right choice for you. 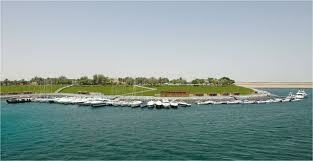 This small UAE Emirate has some of the most pristine and most beautiful concealed beaches. There are beaches that are pure white headland while clear unobstructed waters that lap on to the soft sandy beaches. There are no facilities on the beach making it one of the most pristine of all but you can find some great fun at the nearby hotels. These are just a few of some hidden gems of UAE. Head on to these beaches and enjoy your own great Arabian Nights Adventure.